These trivia questions all come from the wonderful fourth episode-- though why I am distinguishing it from the others with the word "wonderful," I really could not say, for they are all worthy of that appellation. And why I am so formal in Club posts, I couldn't say either. 1. Which character's face is the first to be seen in this episode? 2. 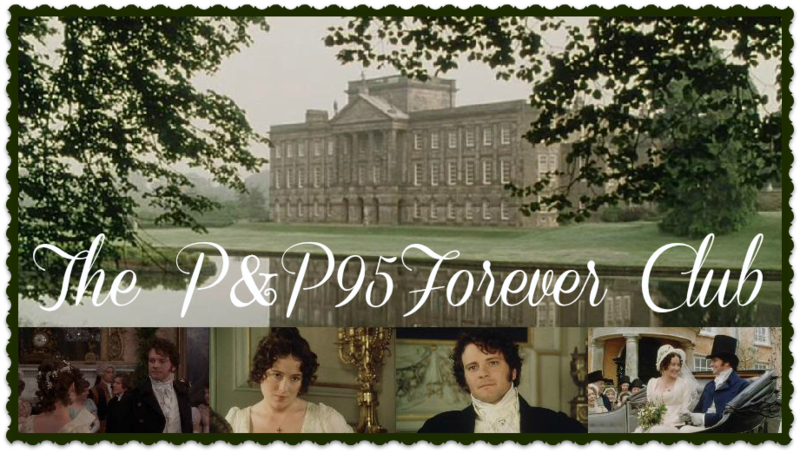 How old was Georgiana Darcy when she was tricked into consented to elope with George Wickham? 3. Complete the quote: "Have some ____, Lizzy; I am sure it will do you good." 4. What was it that Lydia should have put on the roof of the carriage so Kitty would not squash it? 5. What is the name of Mr. Darcy's fencing teacher? 6. What is Elizabeth's parting remark to Wickham at the "farewell to the regiment" party? 7. Who says the candid remark, "It's vile, isn't it, Lizzy?" and to what is this person referring? 8. How far is Lambton from Pemberley? 9. Why does Kitty feel that she has as much right to go to Brighton as Lydia (and more)? 10. Complete the quote and tell who said it: "I think one would be willing to put up with a good deal to be ____." Have fun! Answers will be revealed on Saturday. 2. "She was then but 15"
5. John? I really don't know! 6. "Go, go. I would not wish to see you again" or something along those lines anyway. 7. Kitty, referring to Lydia's new bonnet. 9. Because she's the elder. 2. "She was then but fifteen." 5. Cannot remember but I believe it was the name of an actual fencing master of the time. 6. Friends indeed, but that was in undertone. I don't remember the actual final words. 2- "She was then but 15 years old." 7- Kitty, referring to Lydia's recently purchased bonnet. 8- Not more than five miles. 9- For she is two years older! 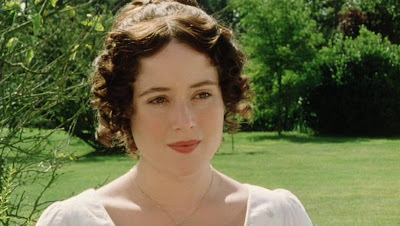 10- "...mistress of Pemberley." Aunt Gardiner said it. Well, there are my entries. Oops, that 26 in the end was supposed to be in the "please prove you're not a robot" thing. 2. She was but 15 years old. 4. her bag "I don't lollop! You do!" 6. "Yes, go, go. I would not wish you back again." 8. Bother numbers... I don't recall this one with excellent clarity... 4? 9. Something along the lines of being particular friends and also the very important fact that she is two years older! But Lydia will buy her a present, I daresay. 2. She was but fifteen years old. 3. Muffins? I know Charlotte said it. 7. Kitty says it, referring to Lydia's bonnet. 9. I'm two years older! 10. 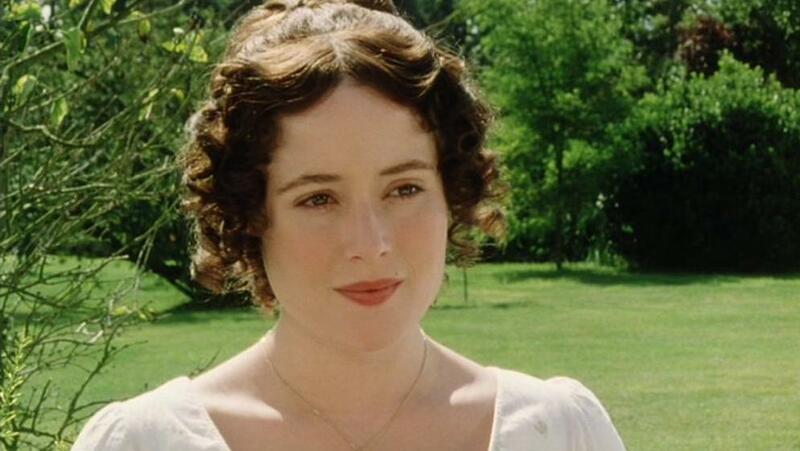 Mistress of Pemberley. I think Mrs. Gardiner said it. Could be Mr. Gardiner, though. 1. Mr Dahhhhcy, I believe. 2. Uhhh... fifteen, I think. It's really awful but when I first read that I was like "wait, is it fifteen or sixteen?" :P Of course, this may be because I "had a temperature" at the time. HA. 5. UMMMM. O_O Wow. I don't know. Does it begin with an F? Hahahaha. 6. "Yes, go, go. I would not wish you back again." Except that was not to HIM exactly, as he couldn't here... sooo... hmm. If not, it was about Mr. Darcy. "I don't mean to imply that either his taste or his manners have improved for the better--rather, my knowing him better improved my opinion of him." Or something like that. 7. Kitty, and to a hat Lydia bought. "I shall pull it to pieces as soon as I get home, and see if I can make it up any bettah." 8. Ehhhh... I don't know! I know they say it but I've never paid heed. Heh. 2. "She was then but fifteen years old"
3.Hmm. - do you mean the quote, "Oh, you do look pale, Lizzy. Have some *breakfast* - I'm sure it will do you good." That is what Charlotte said to Lizzy, but the "Lizzy" is not said at the same point that the quote above mentions, so I don't know if it was just a typo or if you have another quote in mind. 4. Her bonnet, of course! 6. The last thing she said to him where he couldn't hear was, "Yes, go, go! I would not wish you back again." But the last thing she said that he would have heard was, "Rather, my knowing him better, improved my opinion of him." 7.Kitty said that in reference to Lydia's new bonnet which she was going to "pull...to pieces and make it up better." 9. "...I'm *two* years older!!"